I just finished reading Alan Watt and his book called The Book. He says there is no need to describe and define God. God exists in our inability to define and describe the mystery. I have only begun reading him and am not sure how I missed him all these years. I love his humour. Just wanted to drop by and say hi! Great post and I look forward to reading more!! Hello back and thank you for stopping by. I enjoyed the monkey today and his quizzical look. I love the photo, what you have share about Alan Watt, and the wonderful Tesla quote. I follow all your posts closely. Thank you for enrichening my life, personally and as an educator. You are welcome and thank you for a wonderful comment. Thank you for the reblog. I’m so glad you and your readers like it. Much love. You are welcome and thank you. Take care. He does not get the credit he deserves. 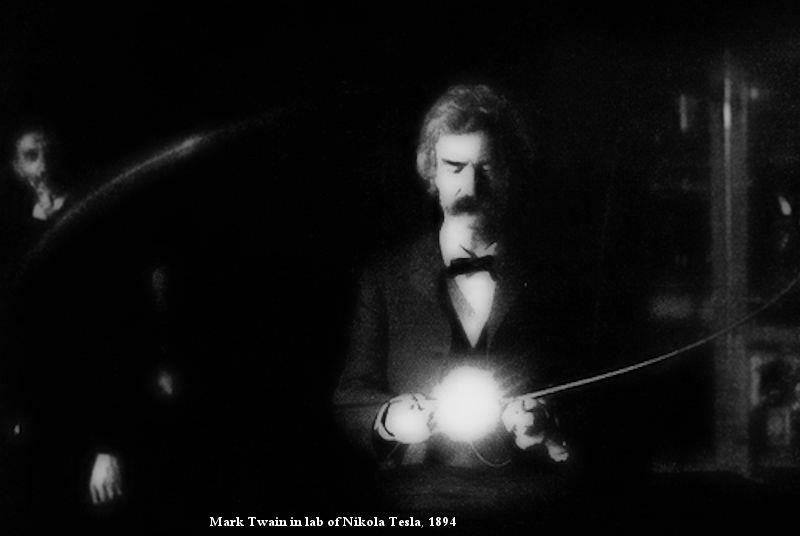 Twain and Tesla – what an interesting combination: two men who thought way ahead of their time. There is something out there that we connect to, and many would call that God. Whatever people want to call it, it is a force beyond our present comprehension. I have been reading Alan Watts recently and he argued the force is real regardless of the name.